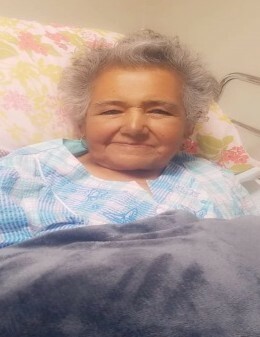 Obituary for Maria Pesina | Vaughan Funeral Homes, Inc.
Maria Pesina (84) from Hargill TX, has gone to be with the Lord January 31, 2019. She is survived by her husband Venancio Pesina and children Juan Guadalupe Hernandez, Pedro & Hilda Perez, Gilda & Lidio Luna, Jose & Isabela Pesina , Rigoberto y Patricia Pesina, Gregorio & Ursula Pesina, David Pesina, Maria Teresa Y Julian Casas, siblings, Margarita Cerda, Guadalupe Barrera, Frumencio Izaguirre , 30 grandchildren and 15 great-grandchildren. Maria will truly be missed.